Today, Dropbox had its long-anticipated initial public offering and was offered on NASDAQ under the ticker DBX. The total value at the offering was around $9Bn. This exit will return billions of dollars to venture capital investors including over $2Bn to Sequoia, over $450m to Accel Partners, and astronomical returns for early stage Iranian investors like Pejman Nozad. Arash Ferdowsi, Dropbox’s co-founder and CTO, is an Iranian-American who was a student at MIT with Drew Houston, the other founder and CEO of Dropbox. Dropbox’s IPO is, however, not the first time a startup with an Iranian-American founder has returned large sums for its investors and created hundreds of jobs. 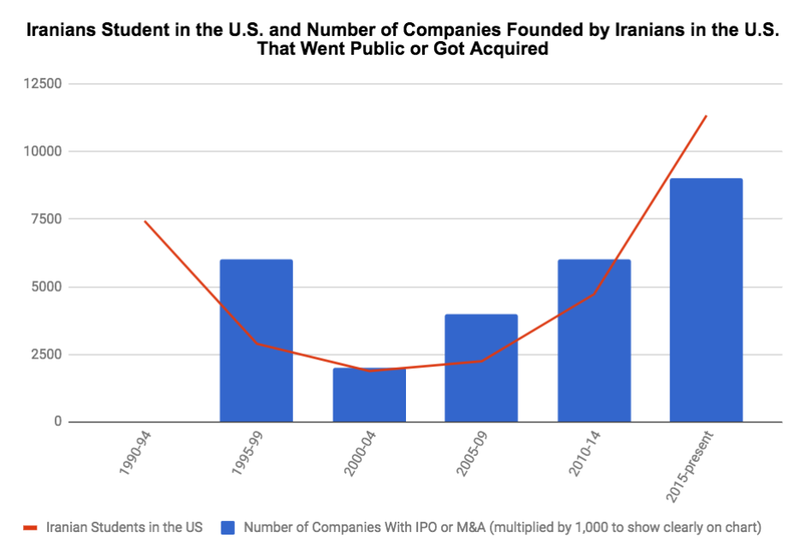 In this article, we will take a look at some other startups founded by Iranian-American immigrants, that had exits through IPOs, were acquired, or are private and valued at over $100m. File hosting and sharing on the cloud for consumers with over 500m users. The latest private round valuation was $10Bn and IPO in March 2018. Arash Ferdowsi, co-founder/CTO is an Iranian-American. Aquantia Corporation is a manufacturer of high-speed transceivers. Founded by Ramin Shirani, Ramin FarjadRad, and CEO Faraj Aalaei all immigrants from Iran. Designs, develops, and markets wireless communication solutions enabling wireless local area networking for telecommunications service providers. Founded by Behrouz Rezvani, Farrokh Farrokhi, and CEO Sam Heidari. Manufacturer of noninvasive patient monitoring technologies based in Irvine, California. The company sells more pulse oximetry to hospitals than any other company. Founder and CEO is Iranian-American immigrant, Joe Kiani. Saba develops talent management software for corporate clients. Co-founded by Bobby Yazdani, and Kamyar Kaviani, both immigrants from Iran. Automotive media and marketing services company based in Irvine, California. Co-founded by Payam Zamani. Prologis is the largest industrial real estate company in the world. Currently the world’s largest owner of warehouses and distribution centers. Founded by Hamid Moghadam. Founded by Pierre Omidyar, a second-generation immigrant from Iran to France and then the U.S. The brand develops and produces a line of women’s apparel, accessories, and perfume fragrances, which it markets under the “bebe”. Founded by Manny Mashouf, an immigrant from Iran. A technology and services company, provides unified clinical solutions and related services for the clinical trials industry. A fabless semiconductor supplier that specializes in analog, mixed-signal, and audio DSP integrated circuits. Co-founded by Kamran Elahian, and Fred Nazem. AI-powered home security camera. Founded by Ben Nader. Flipagram is a popular mobile app that allows users to create short photo-video stories set to music. With tens of millions of monthly users worldwide. Founded by Farhad Mohit. Developing scalable chipsets for computationally intensive deep learning and artificial intelligence algorithms to run on. Co-founded by Amir Khosrowshahi. Reinventing mass transit for commuters, companies, and fun-seekers with reliable and affordable service. Co-founded by Ali Vahabzadeh. Is a software development company focused on creating a modular electronics system for consumers to build their gadgets using reconfigurable components. Founded by Baback Elmieh. A biopharmaceutical company, focuses on developing and commercializing novel medicines for the treatment of orphan diseases. Founded by Dr. Sepehr Sarshar. Periscope is a live video streaming app for Android and iOS. It was co-founded by Kayvon Beykpour. EnVerv was a fabless semiconductor company co-founded by Shahin Hedayat. A pioneer in tax compliance and reporting services. Co-founded by Cyrus Daftari. The company helped parents protect their children from risks on social networks. Co-founded by Arad Rostampour. The Clever Sense Platform makes sense of the real world by harvesting and sifting through the vast amount of information available on the Web. Founded by Babak Pahlavan, and Nima Asgharbeygy. Beceem Communications was a semiconductor company specializing in the WiMAX marketplace. Co-founded by Shahin Hedayat. Jaxtr is a social communications company that melds together global calling, SMS, and social networking. Co-founded by Touraj Parang. Operates a portfolio of shopping web sites including BizRate which was a comparison shopping site enabling shoppers to find the right product by referring ratings and reviews. Founded by Farhad Mohit. Was the former manufacturer of the popular microwavable snack, Hot Pockets. Founded by Paul Merage. CoreTek makes optical components such as tunable lasers, which use tiny movable mirrors to alter the wavelength of light emitted by semiconductor lasers. Founded by Parviz Tayebati. Was a popular internet advertising cooperative co-founded by Ali Partovi. Developed software for Macintosh devices. Founded by Mohsen Moazami. Makes consumer entertainment products , manufactures toys, games, and girl’s lifestyle products. Insurance company that employs technology, design, and data to humanize health care. Co-founded by Kevin Nazemi. Online dating app. Co-founded by Sean Rad and Justeen Mateen. Moving passengers and/or cargo at airline speeds at a fraction of the cost of air travel. Co-founded by Shervin Pishevar. In-home senior care services in the United States and Canada. Founded by Lily Sarafan. Developer of a comprehensive liquid biopsy technology designed to screen and diagnose cancer. Co-founded by Amirali Talasaz. SoundHound is the leading innovator in voice-enabled AI and conversational intelligence technologies. Co-Founded by Keyvan Mohajer and Majid Emami. a mobile advertising technology company that enables brands to create mobile marketing campaigns that are fueled by data. Co-founded by Adam Foroughi. The beginning of a better healthcare experience for millions of patients every month. Co-founded by Cyrus Massoumi. Zoosk is an online dating service available in 25 languages and in more than 80 countries. Founded by immigrants from Iran, Shayan Zadeh and Alex Mehr. Sentient Technologies is the world’s leading artificial intelligence company specializing in evolutionary intelligence. Founded by Babak Hodjat. Blend’s technology empowers top mortgage lenders to be more efficient, compliant, and borrower-friendly. Co-founded by Nima Ghamsari. 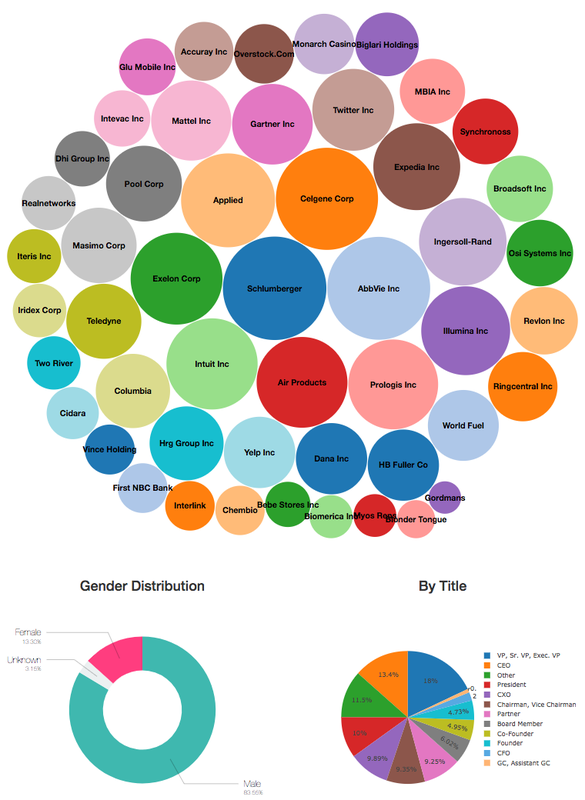 A software company that provides a marketing platform for targeting small businesses. Founded by Darian Shirazi. Develops DNA sequencing technologies and systems for applied genomic testing and medical sequencing. Founded by immigrant from Iran, Hessam Esfandyarpour. Everipedia is an online publicly editable, free content encyclopedia on the blockchain. Co-founded by Sam Kazemian and Mahbod Moghadam. You may have noticed that that these successful startups can easily be separated into two groups. One group was successful in the 1990s and another group in the past 10 years. The reason is that the first group of startups were founded by Iranians who immigrated to the U.S. in the 70s and 80s and the second group of companies that has been successful in the last 10 years, are built by the first group’s children, or the new immigrants who have immigrated in the past 15 years. The number of new immigrants from Iran to the U.S. had a sharp decline in the 90s and early 2000s. The immigration ban on Iranians will decrease the number of new immigrants and students from Iran drastically and we may unfortunately see a reduction in the number of jobs created by Iranian-American founders in the next 10–15 years. Data acquired from World Education Services (source). Please note that I am not claiming direct causation and rather showing the numbers on a chart. There might be any other number of reasons for this correlation. It is also important to note that the above companies are the ones I am personally aware of. I am definitely under-counting and the number of IPOs, M&As, and private companies is much higher than what I have found. Please let me know if you know of any other company that should be included. Note that I am only looking for companies FOUNDED by Iranian-Americans, not the ones that have an Iranian investor/board member, or even an Iranian-American CEO! I regularly publish here on medium. Please follow me here, and on LinkedIn to receive my other articles. Please share this article with your connections, and clap a few times down here for all these great entrepreneurs.